Pass the buns, it's going to be a rollercoaster ride! Brilliant stories hilariously told by Tracey Corderoy and beautifully brought to life by Steven Lenton's illustrations. Have you read Shifty and Sam's other fiction adventures? The Spooky School Up, Up and Away! 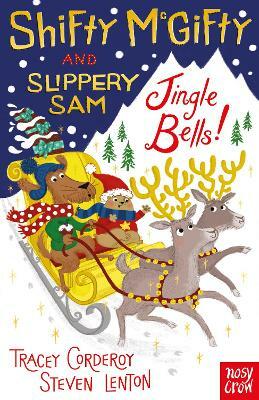 I think this story is really good because there’s three different stories.My favourite story in the book is called Jingle Bells because at the time it was near Christmas and I did not know how good the story was because I never heard of the story before. I recommend it for over six years old.